* ... GLUTEN: Last week I posted a comment from a reader about what causes gluten intolerance, and it triggered a firestorm of emails. This one, from CSUB lecturer Adam Pennell, sums up how a lot of folks feel: "I am an adjunct lecturer/instructor at CSUB (Department of Physical Education and Kinesiology; Department of Biology) and BC (Department of Health & Physical Education). One of my biology courses at CSUB has been nutrition for the past three years. My two cents... The gluten-free fad diet has been disproved - by the same scientists who started it (Biesiekierski et al., 2013). 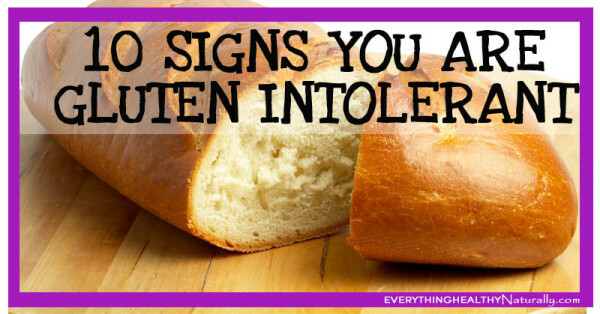 Most people do not have Celiac disease and do not even know what gluten is. The true culprit? Rampant nutritional misinformation, sensationalism, and exploitation. Are GMOs (genetically modified organisms) causing food allergies? Plain and simple, we need more high-caliber research. If increased FDA involvement is what you think we need, look into the supplement industry. I have a presentation that would scare you silly." * ... BAD FORM: Shame on the driver at the Starbucks on Ming and Ashe who unleashed a torrent of vulgarities on fellow driver Toni De Rosa. Toni was trying to park her car while maneuvering through the drive-through line when the other driver, a young woman, "jammed her foot on the gas and almost hit me by sideswiping my car for fear I might pull in line ahead of her... She started screaming and yelling as I drove through. I could hear her through my rolled-up window. I just want this rude person to know I saw her and I was not trying to steal her spot in the line - I was just parking my car. She almost caused a collision because of her unnecessary fear of losing her place in line... Please let your readers know your spot in line is not worth an accident and yes, some people are rude and what goes around comes around. They will get theirs when they least expect it." * ... GRADUATIONS: Stephen A. Montgomery has a solution for those people who disrupt local graduations. "It seems we can’t get through a graduation ceremony without a bunch of low life types making an ugly embarrassing scene. Seating should be arranged and security staff should be on hand to remove the bad behaviors. There needs to be accountability for such unjustifiable and selfish behavior. One idea is, stop the ceremony, on the PA announce that there are some ill behaved people in the audience who have interrupted the ceremony and after they are removed and order is resumed the ceremony will resume." * ... CONCERTS: Want to support the arts? Then you might consider joining the Bakersfield Community Concert Association, a group that offers some of the best concerts in town at a reasonable price. All its concerts are held at Rabobank Theater and feature everything from Grammy-nominated song writers to jazz quartets. Season tickets for all eight concerts are $80 for adults, $34 for full time college students and $24 for students through high school. For details check it out at www.bakersfieldcca.org. * ... GOOD FORM: Darlyn Baker sent a shout out to city work crews for making the best of a bad situation. "Recently, a vehicle ran through a wrought iron fence into the garage of a condemned house at Spruce and 24th St. The plywood used to close up the opening has been painted the two tone colors of the house. How nice for the city to make the most of a bad situation.